China aims to maintain stable industrial growth in 2019 by cultivating a more robust domestic market and further leveling the playing field for foreign and private enterprises, the nation’s top industry regulator said on Friday. US and China making efforts to jointly race their development with two major joints working to be a stake for each other and not hinder or be impediment in the growth of technology for two top slot economy. An effort of friendship amid economy trade wars is in itself multi layer relation of the nation is unique and new wave of statesmanship and diplomatic relation uprising between UK -Russia, German- Russia, EU -Hungary & others. Diplomacy with various layers need to be ignited in Asian nations with religious the chief hurdle and to be propagated in our primary education for better world. 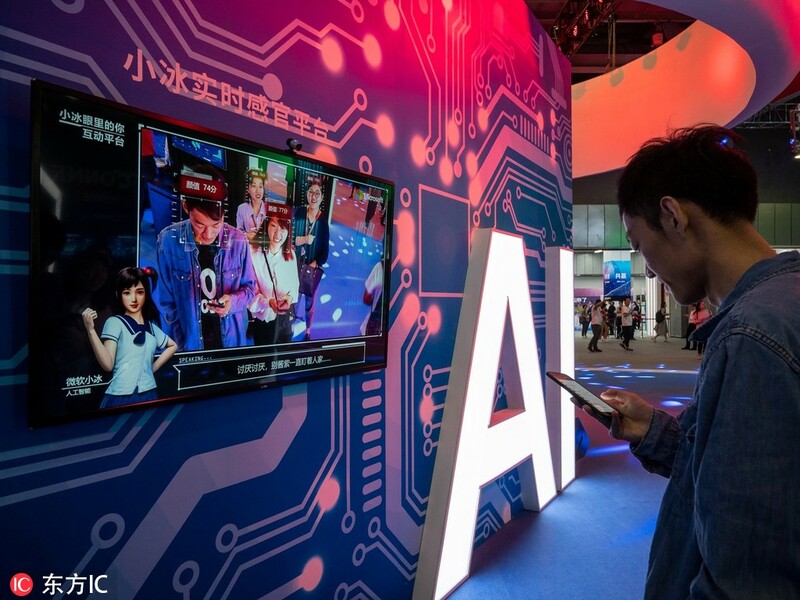 China’s Baidu Inc and US-based Intel Corp said on Tuesday they will establish a 5G+AI lab to promote the research and development of mobile edge computing (MEC) in China, according to a statement Baidu sent to the Global Times. MEC is a key technology that will shorten latency in 5G development, and the technology could enable machines to respond in a faster manner. The deal points to the fact that cooperation among Chinese and US technology companies will not be hindered by the bilateral trade dispute, and only through cooperation can both sides achieve breakthroughs in developing new technologies, industry insiders said on Tuesday. The plan came as the nation’s industrial output, an economic indicator measuring industrial activity, is forecast to expand by 6.3 percent in 2018, meeting the target of around 6 percent growth for this year. The Ministry of Industry and Information Technology said it will step up the push to boost information product consumption and nurture high-tech industries such as wearables, drones and service robots in 2019. “We will guide local governments to build a number of model cities in spurring consumption and roll out policies to promote the development of high-definition video and internet of vehicles,” said Miao Wei, minister of industry and information technology, at the ministry’s annual work conference, which concluded on Friday. According to Miao, the ministry will also implement policies to expand market access for the shipbuilding, automobile and aircraft sectors, and further multilateral cooperation in equipment manufacturing and information infrastructure construction. His comments came after China managed to keep industrial growth on track this year, despite trade conflicts among major economies that have had a negative impact on China’s domestic economy. In 2018, China’s manufacturing investment growth rebounded significantly, with dozens of intelligent manufacturing pilot projects established and the software and information technology service sector forecast to record 15 percent year-on-year growth. Wang Peng, deputy director of the China Center for Information Industry Development, said that although retail sales growth in consumer electronics slowed in 2018, the Ministry of Industry and Information Technology’s efforts to bring a more robust domestic market will help buoy consumption in information products. “Also, the maturity of fifth-generation mobile communication technology next year will also spur consumers to buy more cutting-edge devices,” Wang said. The ministry said on Friday that research and development of commercial 5G products will be accelerated in 2019, in order to lay down a better telecommunications infrastructure for industrial upgrading. It also aims to make a fresh push to marshal the country’s high-end manufacturing power by strengthening the in-depth integration of cutting-edge technologies into traditional sectors. Qu Xianming, with the National Manufacturing Strategy Advisory Committee, said the goal to move up the industrial value chain is gaining steam across the country, which can play an effective role in buoying the country’s industrial economy. From January to November, the output of China’s high-tech manufacturing industry expanded by 11.8 percent year-on-year, outdoing overall industrial output growth, according to data from the National Bureau of Statistics.